The near-mythic name of Michelangelo conjures many things: the divine, swirling figures of the Sistine Chapel ceiling; the almost-touching hands of human and divine; Charlton Heston’s grimacing mug; a Teenage Mutant Ninja Turtle. 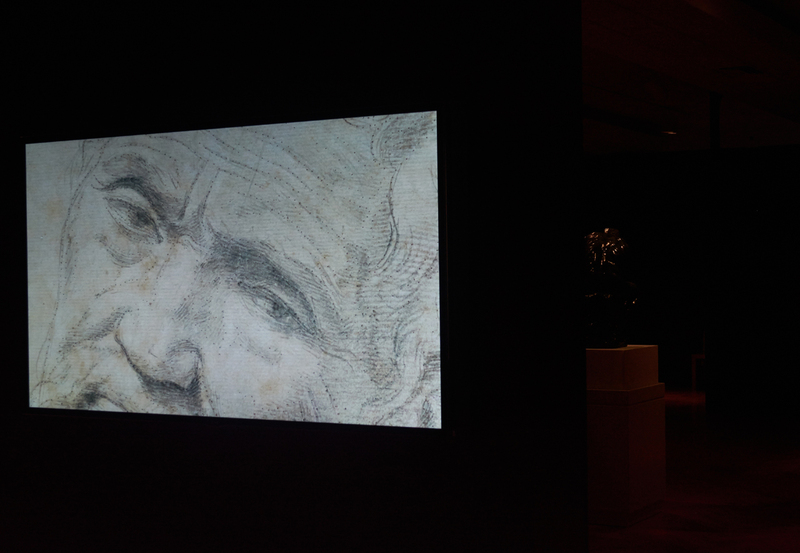 A new exhibition at Toronto’s Art Gallery of Ontario, Michelangelo: Quest For Genius, features a collection of 29 of the artist’s exquisite drawings, many on loan from the Casa Buonarroti, the Michelangelo study center and museum in Florence. The exhibition examines the work together with that of another artist, Auguste Rodin, through the lens of their shared trials and frustrations, with institutions, clients, lovers, and within themselves. The show is organized by thematic sections — “Struggle and Defiance,” “Trouble With Patrons,” “Frustrations In Love,” “Unfulfilled Projects and Dreams” — and the visitor comes away feeling as though Michelangelo has been brought down from his pedestal into a more familiar, human realm. Quest For Genius opens with a quote from Rodin: “Michelangelo is my master and my idol.” Rather than an expression of mere worship, this is proof of a creative intimacy. Many of the 10 Rodin works on display give off a whiff (maybe make that a gust) of machismo; such a quality, while certainly echoing Michelangelo’s most muscular sculptures, stands in stark contrast to the delicate qualities of his drawings, which are the focus here. Rodin does, however, have his have his moments of delicacy; his “Grande main gauche (Left Hand of Burgher of Calais)” (on loan from a private collection) is a simple, elegant bronze piece, made as part of the immense (and ill-received) “Les Bourgeois de Calais (the Burghers of Calais)” (1884–89) project. 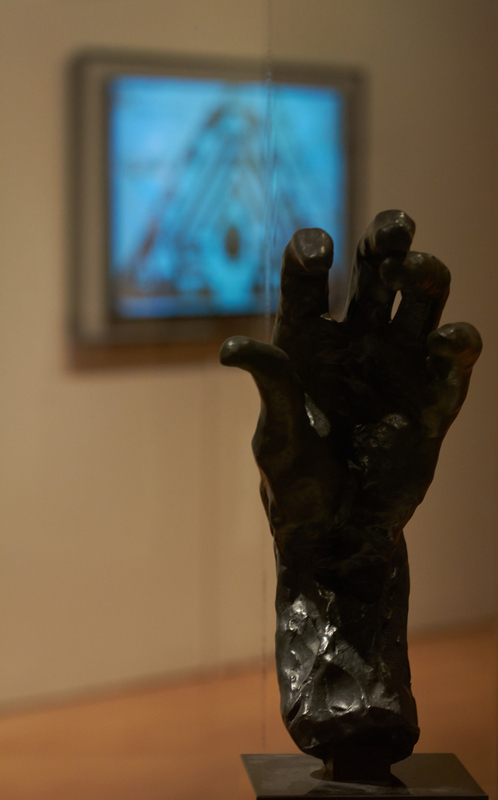 Simultaneously menacing and comforting, earthy and ethereal, Rodin’s hand underlines the connections between the earthly and the divine, and, ironically or not, between money and art, by showing that the instrument for work is also the instrument for prayer; it’s the instrument that signs contracts, counts money, and holds hands with others as an expression of love, intimacy, and trust. 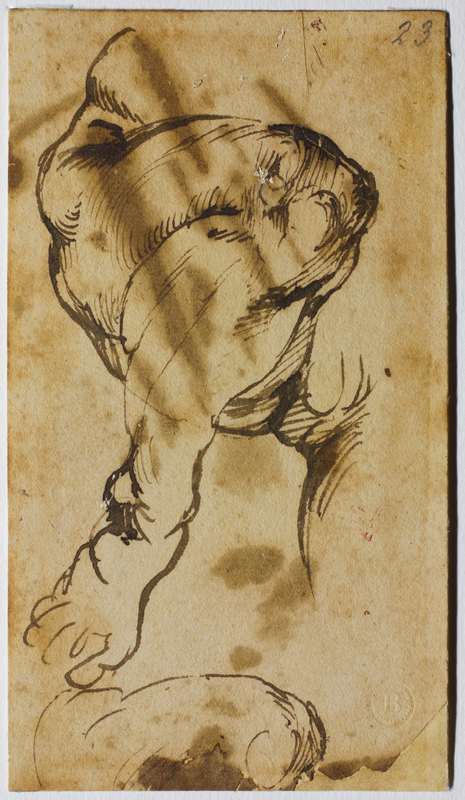 You can almost feel the French artist holding Michelangelo’s hand throughout the exhibition, with his immense, muscled sculptures seeming like the grown children of the Italian’s masterful, detailed sketches. The exhibition’s relationship with technology is just as intimate. AGO Director Matthew Teitelbaum noted at the media preview that “the show uses a narrative involving technology,” though it might be more accurate to say that Quest For Genius uses a wide variety of media — paper, bronze, and animation — to explore what genius means today and to bring it down from its lofty heights. The selection of drawings, which run the gamut from ambitious and beautiful to ephemeral and mundane, humanizes Michelangelo, making him less the distant “genius” of the Sistine Chapel and more of an everyday dude (albeit an extremely talented one). Pieces of possible future works — limbs, profiles, a helmet, the façade of a church, a rough plan for a gate — suggest both a formality to his practice and a vibrant curiosity. The paper used here (some stained, some impressively unfaded) reveals how the medium itself allowed the artist a profligacy heretofore unavailable, as well as a charming frugality. 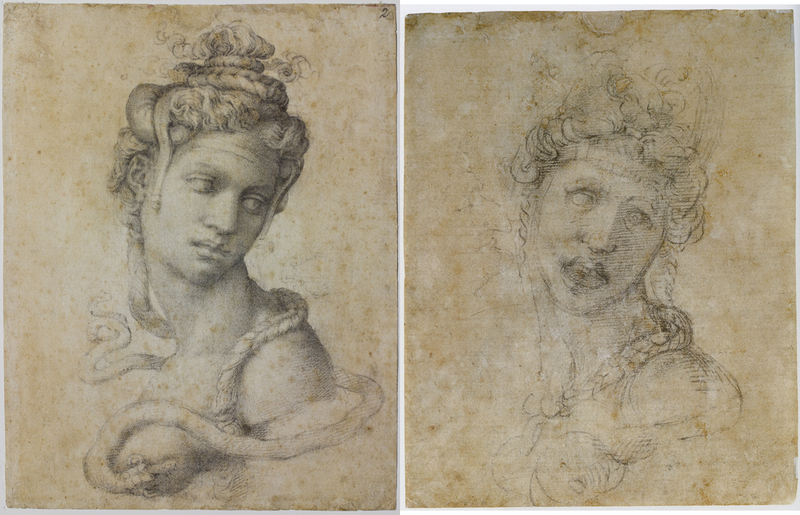 Michelangelo reused paper regularly, a good example being the entrancing “Cleopatra” (1532–33), which contains another image (of an older Cleo) on the other side, done around the same time period. His “Tabernacle with Niche” (1524–25) features an architectural design on one side and an angry letter about a stonemason on the other. It’s these simpler works that leave the largest impression. A sub-section entitled “Youthful Pride” includes “Study for the Leg of the Christ Child in the ‘Doni Tondo’” (1506), done in pen. Its elegant strokes and shading provide a lovely contrast and complement to “Fortifications for the Porta al Prato in Florence” (1529), a geometric design in pen and ink with brown wash. Here we get a sense of the angular and the sensuous coexisting, reflecting the way that Michelangelo integrated ambitions and observations, earthly desires and divine aspirations. 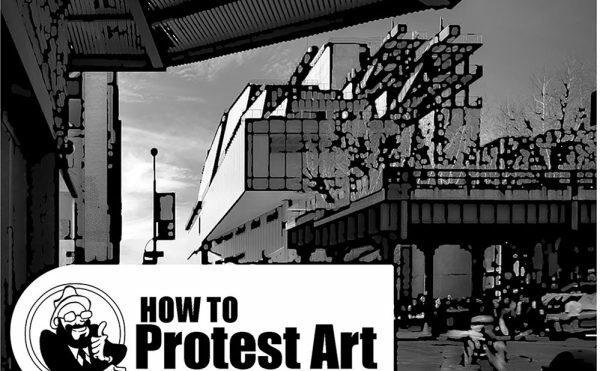 This also plays out in the struggle each artist faced with commissions, the balancing of creative aspirations with more human, day-to-day realities. 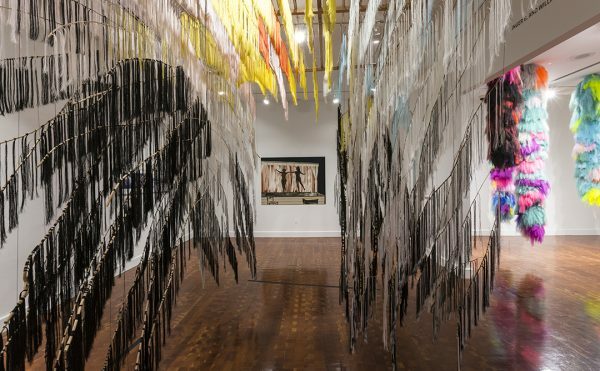 Perhaps the most immediate work on view isn’t a drawing or a sculpture, however, but rather a series of animations. Quest for Genius provides theoretical visuals for what some of Michelangelo’s designs might look like in 3D, had they been realized. 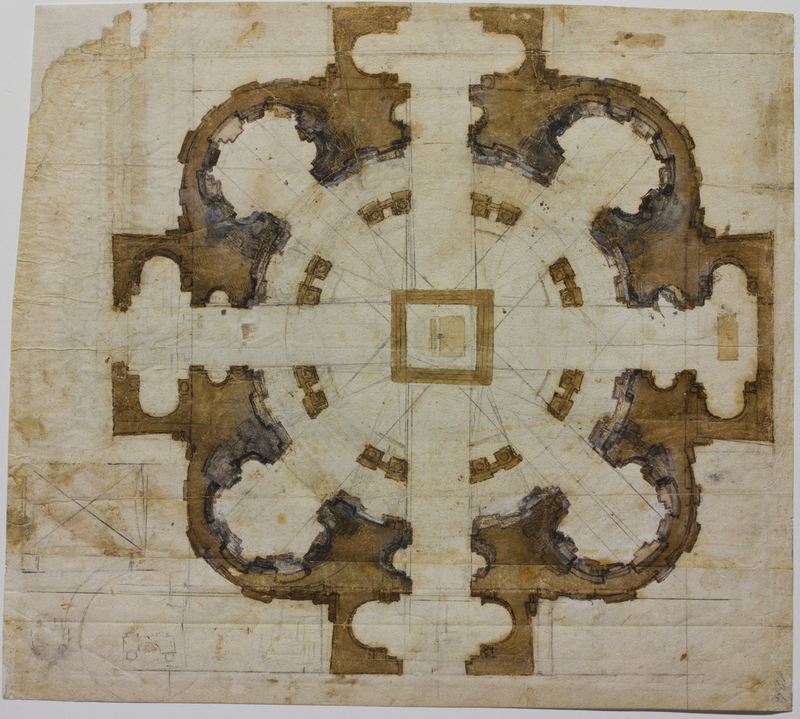 The high-tech images inevitably bring to mind contemporary corollaries: Michelangelo’s “Plan for the church of San Giovanni dei Fiorentini in Rome” (1559–60) as a GIF, as a game, as a virtual backdrop for the next Marvel movie. The interactive element of the exhibition continues these questions by allowing visitors to virtually manipulate a number of drawings, including “Madonna and Child” (c. 1524), though it’s interesting to think of in light of the Italian artist’s tendency to zealously guard his drawings when he was alive, for fear of his ideas being stolen. The great strengths of Quest for Genius are its reminder that Michelangelo had normal concerns and challenges like any artist of any era, as well as its suggestion that he might, perhaps more than other artists, appreciate the 21st century and its myriad of digital possibilities if he were able to witness it. Maybe he saw, through his drawings, something of the digital world we’re now in, and would appreciate the fact we can all aspire to be like him through the application and implementation of those modern technologies. 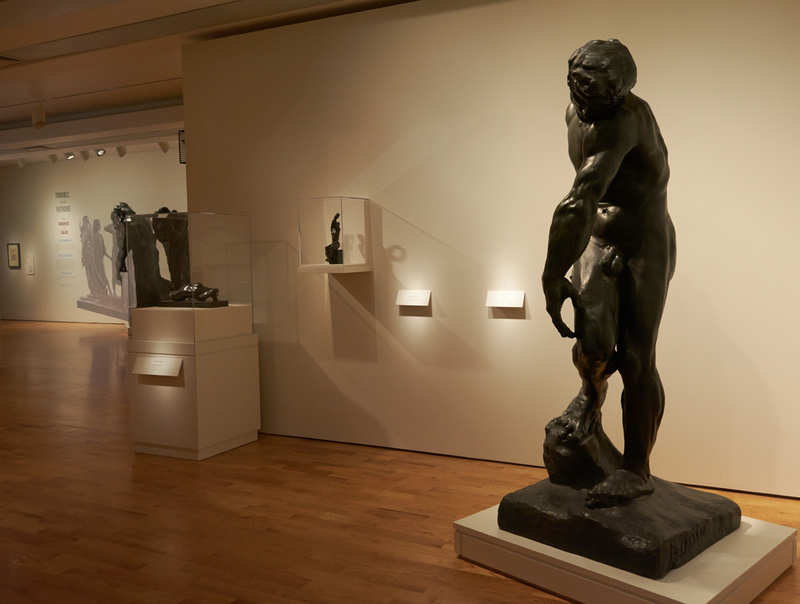 Michelangelo: Quest for Genius continues at the Art Gallery of Ontario (317 Dundas Street West, Toronto) through January 11, 2015.